We have provided this article as a free service to you – our valued customers. In this article, we have summarized important Delaware Landlord Tenant Laws. 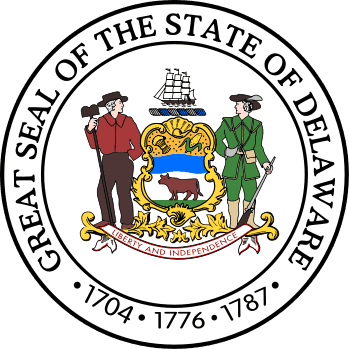 The following laws are derived from Delaware’s official state statutes. Please follow the links we have provided, so that you further your knowledge concerning the referenced laws. The following summary of laws is not an exhaustive list of all relevant laws, and it is not intended to be legal advice. Laws are subject to change, and will often vary from within the state from municipality to municipality. We recommend that you perform your own independent research to ensure that you are in compliance with all laws and regulations applicable to your current situation. Should you have any legal concerns or questions regarding Delaware Landlord Tenant Laws, we highly recommend that you consult with a qualified attorney. Many state bar associations have referral services that can assist you in locating an attorney. Stay up to date on Delaware Landlord Tenant Laws + Save money on tenant screening and other property management needs. Join AAOA today, it’s FREE! Maximum Security Deposit: A landlord is permitted to charge a tenant the equivalent of one month’s rent for a security deposit on leases that are for at least one year. For month to month leases, there is no limit on the amount the landlord can charge the tenant for a security deposit. Furthermore, landlords are permitted to request an additional pet security deposit equal to one month’s rent. 25 Del. C. § 5514. Return of Security Deposit: A landlord must return the security deposit together with an itemized statement of deductions, within 20 days after the tenant has vacated the premises. 25 Del. C. § 5514. Non-refundable Fees: Non-refundable fees are not permitted. 25 Del. C. § 5514. Location of Security Deposit: A landlord must disclose to the tenant the location in which the security deposit is being held. 25 Del. C. § 5514. Additional Requirements: Not at the state level. We recommend that you check your local municipality for any further laws concerning security deposits. Late Fees: A landlord that wishes to impose a late fee is required to maintain an office in the county in which the rental property is located (a location where the tenants can pay the rent.). If the landlord does not have a local office, the tenant has three additional days after the rent due date to pay the rent before the landlord is allowed to impose a late fee. A landlord cannot charge a late fee that is more than 5% of the rental amount. The late fee cannot be imposed until the rent is more than five days late. 25 Del. C. §§ 5106, 5107, 5501(b), and 5501(d). Increase in Rent: A landlord must give a tenant at least 60 days’ written notice to increase rent or change another term of a month -to-month lease. After the tenant has received the landlord’s notice of proposed changes, the tenant has 15 days in which to terminate the tenancy. Otherwise, the changes will go into effect. For long term leases, a landlord is not permitted to increase the rent until the lease agreement has terminated and a new tenancy commences (unless the lease agreement itself provides for a rent increase.) 25 Del. C. §§ 5106, 5107, 5501(b), and 5501(d). Retaliation or Discrimination: In the United States, a landlord is not permitted to increase rent in a discriminatory manner, i.e. race, gender, religion, etc. Landlords are also not permitted to increase rent in retaliation against a tenant if a tenant has exercised a legal right. Termination for Non-payment of Rent: A landlord must give a tenant at least five days in which to pay the outstanding rent or vacate the rental property. Should the tenant fail to do either, the landlord is then permitted to file for eviction. 25 Del. C. §§ 5106, 5107, 5501(b), and 5501(d). Owner’s Identity: Every lease must prominently display the names and business addresses of all persons who are owners of the rental property or the property the rental unit is a part of, or the names and business addresses of the owner’s appointed agents. 25 Del. C. § 5105. Landlord-Tenant Code: A summary of the Landlord-Tenant Code (which is prepared by the Attorney General’s Office) is required to be provided to a new tenant at the commencement of the rental term. If the landlord does not provide the summary, the tenant may plead ignorance of the law as a defense. 25 Del. C. § 5118. Additional Disclosures: We recommend that you review your local municipality’s rules concerning required notices, especially if your rental property is covered by rent control. Basic Rights: All tenants in Delaware are legally entitled to a unit that meets basic health, structural, and safety standards, and that is in good repair. Landlord’s Responsibilities: A landlord must keep the rental unit in reasonable repair and fit for human habitation, including the maintenance of all electrical, plumbing and heating systems. A warranty of habitability cannot be waived or modified by the parties to the lease. Tenant’s Remedies: If the landlord fails to keep the rental unit in proper condition, the tenant has a right to withhold rent until repairs are made. The tenant has the right to make repairs to the rental unit, and then deduct those costs from the rent. 25 Del. C. § § 5307 and 5308. * In addition to the Delaware state laws, we recommend that you contact your local municipality to discuss any local housing rules and regulations concerning tenant’s rights when it comes to repairs. Unconditional Quit Notice: These orders require a tenant to move out within a shorter period of time that is allotted in the lease agreement. In Delaware, a landlord can utilize an unconditional termination notice and require the tenant to vacate the premises within seven days for a violation of a lease provision which also constitutes a violation of a municipal, county, or state code or statute, or the same violation of a material lease provision repeated within a 12 month period. Also, the landlord can require a tenant to immediately vacate the rental unit for a violation of law or breach of the lease agreement which causes or threatens to cause irreparable harm to the landlord’s property or to other tenants. 25 Del. C. §§ 5513 and 5514. Eviction: A landlord can terminate the lease agreement with an unconditional quit notice if the tenant violates a material term of the lease agreement. In order to evict, a landlord must give the tenant seven days’ advance warning of the landlord’s intention to start eviction proceedings. If the tenant fails to resolve the problem or voluntarily vacate the rental property, the landlord’s next step is to serve a Summons and Complaint. 25 Del. C. §§ 5513 and 5514. Victims of Domestic Violence: In Delaware, the following rules apply to issues of domestic violence: (1) a landlord is entitled to proof of a tenant’s domestic violence status (2) a landlord cannot early terminate the lease of a victim of domestic violence (3) domestic violence victims have a right of early termination. 25 Del. C §§ 5141(6) and 5314(b). A key component of landlord tenant laws is also Delaware Tenant Screening Background Checks. We’ve dedicated an entire page to it because of its importance. Visit Delaware Tenant Screening Background Checks to screen your tenant. All states require a variety of forms to rent an apartment to a tenant and Delaware is no exception. Check out American Apartment Owners Association’s Delaware Landlord Forms now. Looking for landlord tenant laws outside of Delaware? The American Apartment Owners Association offers helpful landlord tenant laws for all 50 states. Click on any of the states listed below and go directly to its landlord tenant law page. To visit the homepage of landlord tenant laws, click here.